Shifts base from being a part of Jabong's founding team to CEO of Giftology. 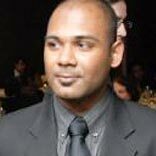 Giftology.com, the online gifting platform that promotes contemporary and practical alternative to gifting, has announced the appointment of Varun Vummidi as its Chief Executive Officer. Varun Vummidi brings strong market knowledge of the online retail space having been a part of the founding team at Jabong.com. His work and understanding of e-commerce operations, product management, customer relationship management, customer acquisition and business development made him an invaluable resource to companies such as Jabong.com and HDFC Bank LTD where he has worked earlier. Giftology.com has recently gained an undisclosed amount of seed funding from Kiran Sidhu, Chairman of the European prepaid cards provider Transact Network. The funds raised will help strengthen the team, product development and roll out mobile apps across platforms.